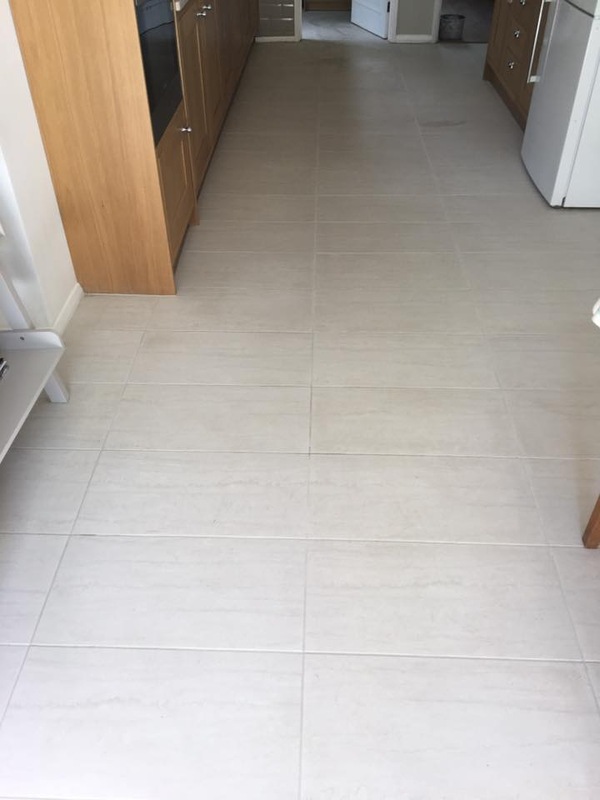 Photographs below from a lovely house in Windlesham where I was asked to do something about the Porcelain floor tiles which had become extremely dirty and were proving impossible to clean. Infact my customer was pulling her hair out about how to fix this issue of deeply ingrained muck and was on the verge of pulling the whole lot up. Normally Porcelain tiles are fairly easy to maintain and it’s just a question of keeping the grout clean however I have to confess these tiles were perplexing indeed. In fact to be honest…I tried every product in my van to get them clean, finally settling on Oxy Gel. I left it to soak on the floor for 30 minutes and then worked it in with an aggressive 200 grit pad. 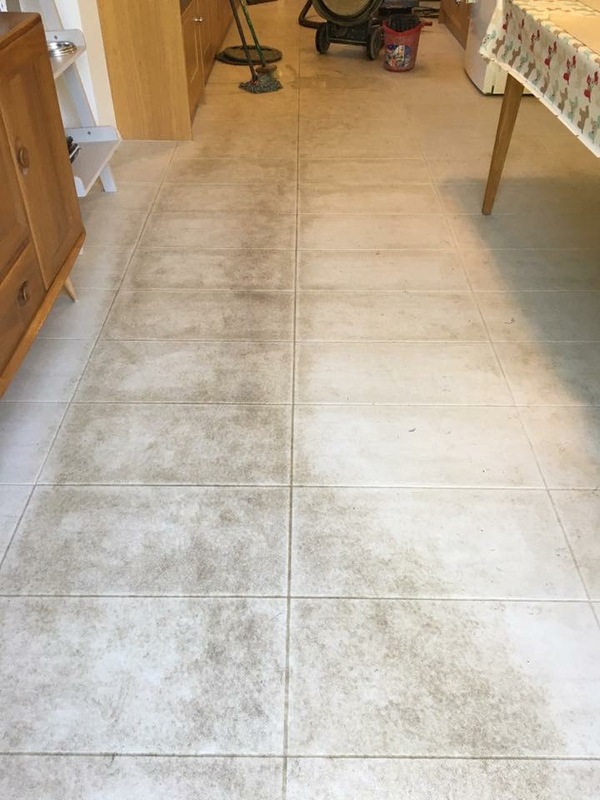 I’m happy to report the transformation was amazing, all the muck was released from the tile and I was able to extract it from the floor using a wet vacuum. My last step was to give the grout a good scrub using more Oxy Gel, rinse off with water and extract as much moisture as possible with the wet vacuum. I speed dried the floor with an air mover and once the floor was dry I applied a coating of Tile Doctor Ultra Seal. Now Porcelain tiles don’t usually take a sealer however these tiles were unusual in that they were trapping dirt and it’s possible they were in fact micro-porcelain so a coat of sealer was added for good measure.